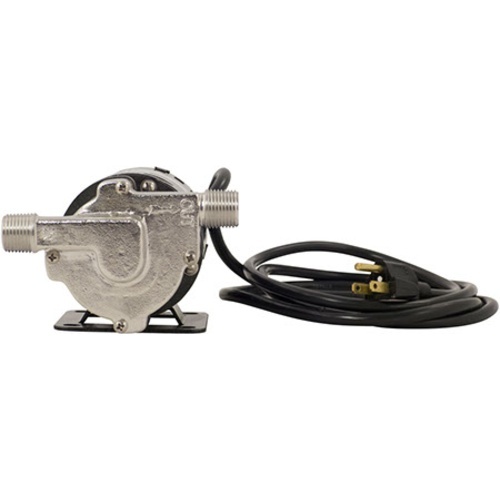 The famous March brewing pump is now available with a stainless head. Having sold pumps for all grain brewing for 20 years, MoreBeer! can recommend this pump as having the longest lasting motor. 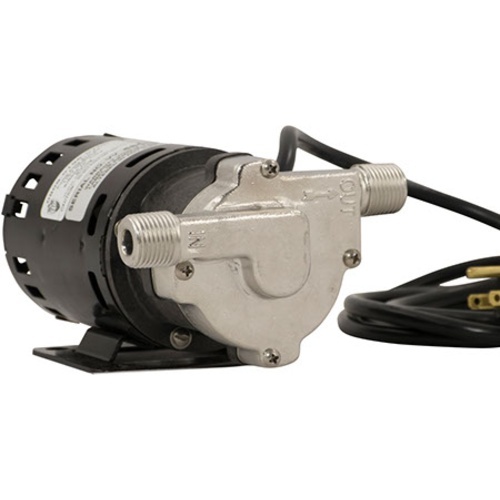 This is the exact same pump as the famous 815pl (our H315HF) but with stainless head. Because the pump is magnetic, where the magnet spins on the other side of a sealed wall, it is seal-less and easy to sanitzie. All the parts that come in contact with liquid are made of Stainless Steel, Teflon, Silicone or Ryton/Teflon/Glass. The standard motor can be run on either 50 or 60 hertz (there are performance differences between the hertz options). 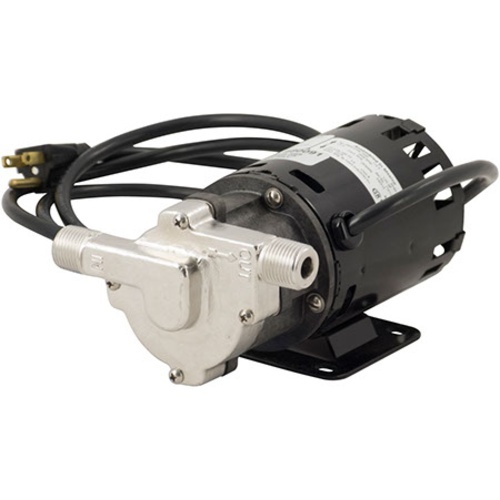 The 815-SS Beer Pump motor has a six foot cord, a plug, and a base. My pump is being used to circulate water from my incoming irrigation line to cooling lines that run under my tile porch and then exhausts out to our pond. 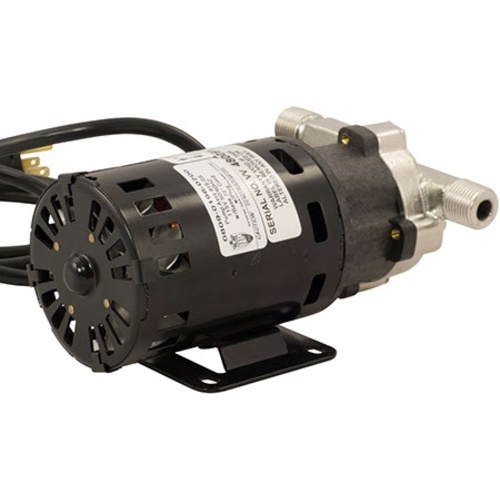 I needed a pump with its own cooling fan that would handle high outside temps and somewhat aggressive water. This pump fits the bill. It is a replacement or an old repurposed solar pump that I have had in service for some time. I expect it to last for some time without trouble. I am still evaluating but, it works great so far.